Structure W-66. Photograph courtesy of Gary Rollefson. In 2011 Yorke Rowan, Megan Perry and I excavated several structures at Wisad Pools. Tower Tomb W-110 was clearly used as a burial structure, at least by Safaitic peoples (at least three individuals – male, female, and child – were recovered). Our focus was on a smaller structure (W-66), which we had thought was a collapsed small tower tomb. Not so. 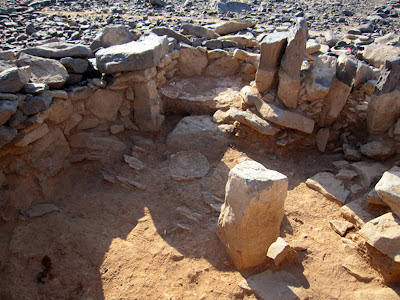 The excavation revealed that it was a permanent house (albeit probably occupied only during good rainy seasons and the following spring months), including gypsum plastered floors and a special alcove (also plastered, four times). More than 30 arrowheads of specific styles allowed us to date the house to between 6,500-6,000 BC, although C-14 samples are currently being assessed. 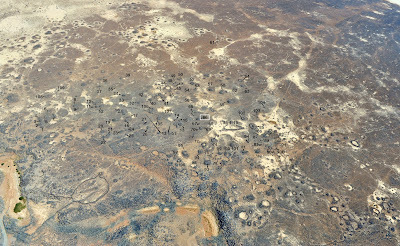 Bird's eye view of excavated structure SS-11. Photograph courtesy of Gary Rollefson. Corbeled dwellings in the vicinity of SS-11. Photographer: David L. Kennedy. Click to enlarge. The 2012 season of research at M-4 proved to be just as rectifying in terms of our original assumptions. 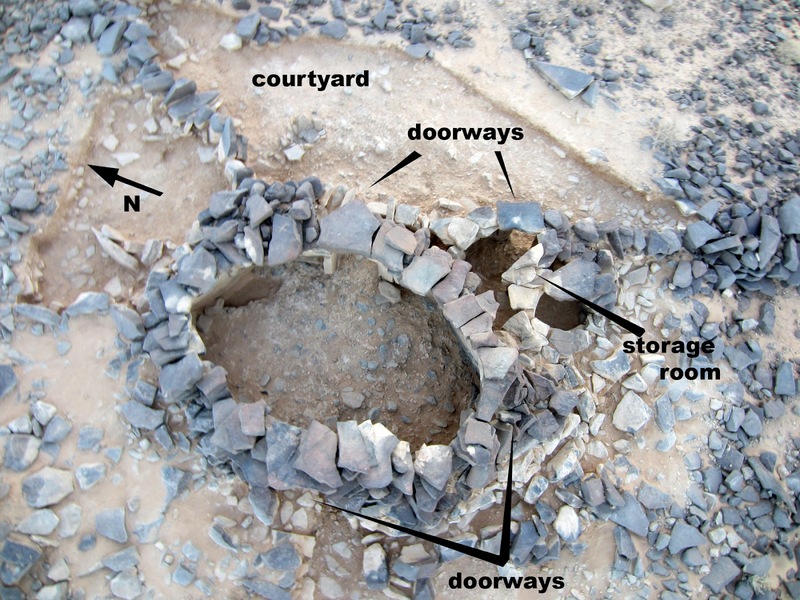 SS-11 is an ovoid structure of 3.5 x 2.5 m that – before excavation – displayed a low doorway facing to the southwest, a clear parallel with nawamis in the Sinai and Yemen. (As it turned out, excavation revealed three doorways: to the east into a courtyard, to the south, and to the southwest). The roof of SS-11 had collapsed, and there was no indication of looting of the structure, which promised an unambiguous idea of what the building represented. 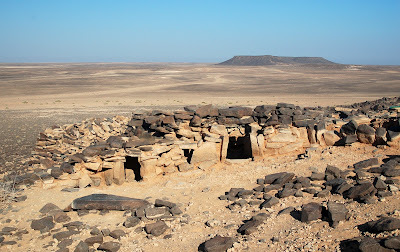 The building, in fact, was another dwelling dating to 6,600-6,000 BC. 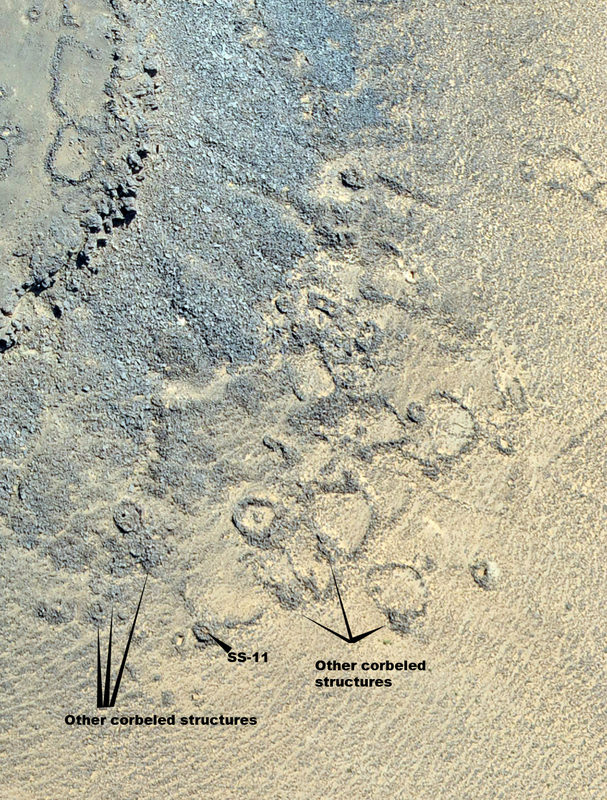 In fact, once we realized the nature of SS-11, we could immediately identify a minimum of 6 other corbeled dwellings, all within a radius of 30-40 meters. 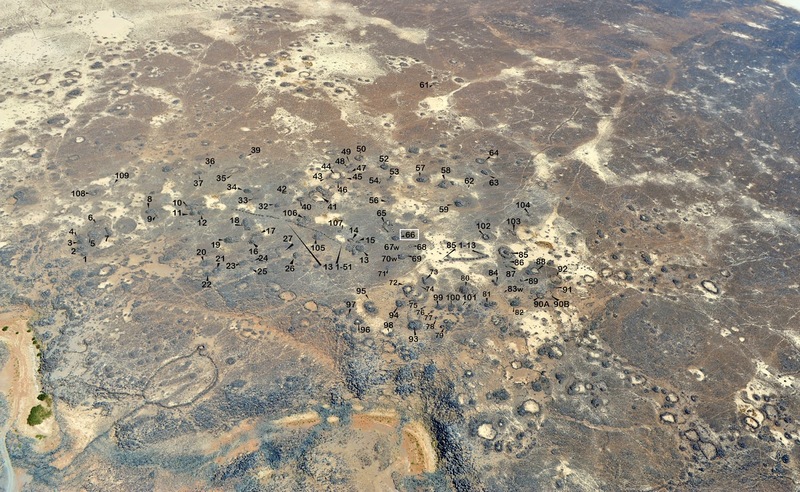 Based on these results, and combined with our 2009 and 2010 GPS survey data that complemented APAAME photographs, it is now obvious that there were several pastoral families relying on hunting for their sustenance. Frontal view of structure SS-11. Photograph courtesy of Gary Rollefson. 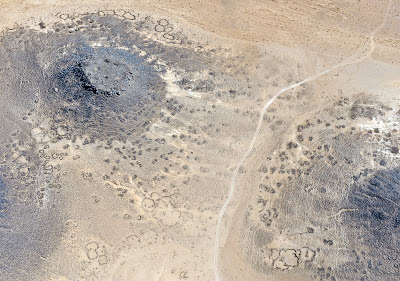 What the 2011 season and the one from 2012 indicate, there is no doubt that the bleak and barren landscapes that Google Earth and APAAME depict were not the case for the 7th millennium BC. It is possible that many of the small buildings at the feet of the northern and southern slopes of M-4, as well as the space between M5 and M-7, may in fact constitute small and even medium-sized semi-permanent Late Neolithic villages. Soils in the region during the Late Neolithic occupations were capable of absorbing and storing winter rainfall, resulting in more luxurious seasonal pasturage for sheep and goat herds. But it was the persistent overgrazing of increasing herd sizes of sheep that eventually exposed the soils to wind deflation, creating the forbidding landscape we see today. When did this tipping point occur? More excavation will provide some of the answers. 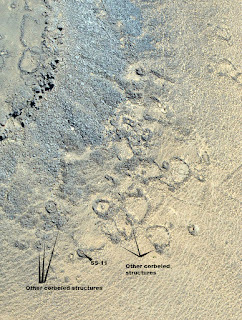 Wider landscape showing potential small buildings at the feet of M-4, M-5 and M-7; a possible Late Neolithic village. 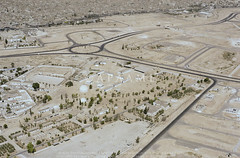 APAAME_20081102_DLK-0241. Photographer: David L. Kennedy. Click to enlarge. 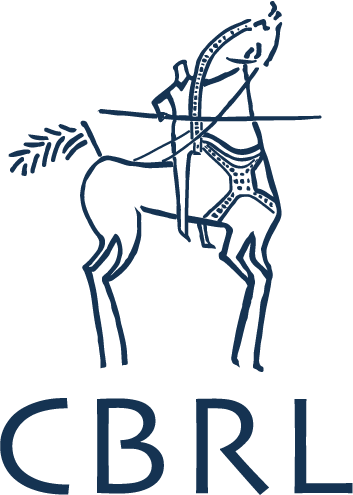 Dr. Gary Rollefson is Professor of Anthropology at Whitman College, Walla Walla in the United States, specialising in Near Eastern prehistoric archaeology. 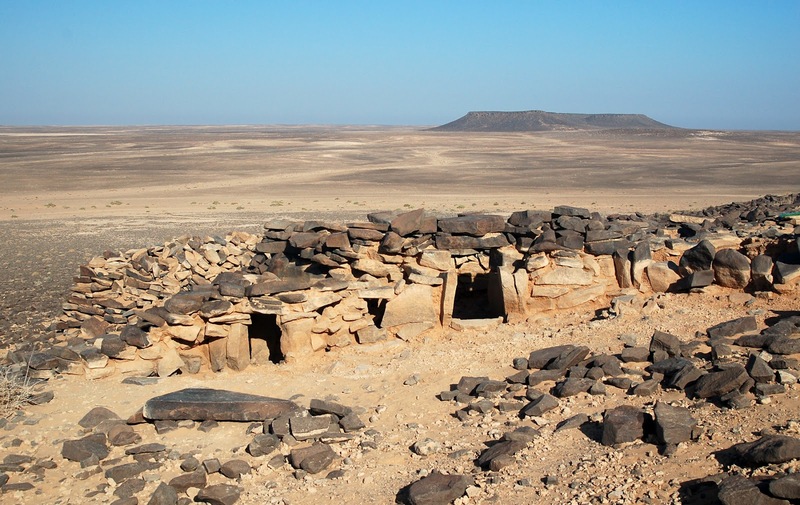 He has worked collaboratively with colleagues from around the world on prehistoric sites in Jordan, including 'Ain Soda, 'Ain Ghazal, Wadi Rum, and now in the eastern desert of Jordan. Students, the following guide will help you learn how to write a critical essay. Check it out right now!